The philatelic history knows the "great masters", the uncrowned "kings" of fakes. Their "creations" for many years were terrifying the wealthy philatelists, who purchased the expensive stamps, without confidence in their authenticity. The most famous of these "kings" was Francois Fournier. In 1899 he founded a small firm in Geneva to sale the stamps. However, it did not bring significant revenues, and Fournier became a partner in the "Mercier" company, which was producing some printing copies by any order from any printed originals. From 1903 Fournier became the owner of this company and started to produce the copies of a rare stamps, that were published by the old German and Italian States, British and German Colonies, Austria, Switzerland, China, etc. The copies were so perfect - completely coincided not only the drawings, but also the types of printing, paper, perforation, etc. - that it was extremely difficult to distinguish the product of Fournier from the genuine stamps. Some justification for Fournier can be made by the fact, that he never called his imitations "a real stamp". In his ads he always wrote, that he is offering copies of the stamps, calling them "facsimile" (from the Latin: "fac simile" - "make a copy" - an exact reproduction). In response to the allegations of fraud, he was even publishing in 1910-1913 a magazine «Le facsimile», which had a circulation, that reached 25 thousand copies, and the price lists for the copies, that he issued. Fournier believed, that he is doing a great favor to the philatelists, supplying them with the imitations of the stamps at very low prices. Stamp collectors were buying those copies, putting them in the collection as a temporary replacement, until they will be lucky enough to find a genuine stamp, but the origins of those copies were known only to those, who received them directly from Fournier. With the death of the owner, with the transition of the collections from hand to hand, the information about the origin of these stamps was lost, and they began their "life" as an original ones. Fournier's reputation had a shadow also because he flatly refused to designate on the stamps themselves, or at least on their back side, that they are just copies, facsimiles, and this fact was somewhat confusing many, even most experienced, philatelists and widely used by speculators. Unidentified products of Fournier repeatedly came to the exhibitions. 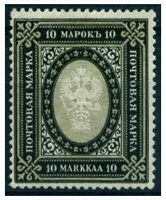 In addition, Fournier opened and "surgical clinic", where for a fee he "treated" the rare stamps, that were in a bad condition: closed up the thin places, pasted the missing perforation, which is not allowed in the philately. Fournier made the copies of 1203 stamps and 636 overprints on the genuine stamps. All this was printed in amounts up to several hundred copies. 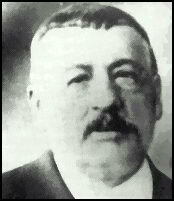 Fournier died in 1918 at the age of 71. His companion and successor - Girshburger - for several years tried to continue the activities of the company, but it fell into decay, and all properties of the company were sold at the auction. All unsold copies, clichés, and forms were purchased by the Swiss Union of Philatelists. To recover the costs, the special committee of the Union published 480 so-called "Fournier Album" from the copies purchased. In each album there were posted nearly all Fournier's copies, but the back side of each one was marked with the blue stamps «Facsimile» or «Faux» (fake). The albums were numbered and sold to the famous philatelic experts and unions of philatelists in different countries. Interest in the albums was so great that 100 requests were unmet. These albums are still used by the philatelic experts to determine the authenticity of many rare stamps and making sure, that they did not come from the hands of Fournier.